Visual design in promotional marketing documents speaks volumes about your business image and sets your business up with how you communicate to the world. Guaranteeing that the hard work that you put into your conception turns out the way you plan, it is crucial to format files in a certain way prior to sending them to be printed. When preparing digital artwork to send to a printer you will want to ensure that accuracy in color choice, resizing capabilities, and quality are translated from concept to printed image. This can be done easily and accurately by remembering a few simple things. To make sure your images turn out the exact color, size, and quality you intend, there are a few things to do. When you send an image to be printed, provide the pantone matching system (PMS) numbers for each color that you use. These are a universal color match used in printing and will directly render the colors that you want in your marketing items. When you are about to send the files to the printer, put them in .eps format. This is best for all multi-color images, as it is a vector file and makes resizing and editing of the image easy for the printing company. Lastly, an Adobe Illustrator file, .ai, has extremely high quality and sets your printed materials up to turn out how you anticipate. When sending artwork to the printer, do not send .jpg, .bmp, or .gif formats. .JPG are not easily resized and will translate in a lower resolution, they do compress and load quickly, but this is a situation when quicker is not better. The resolution on a .bmp formatted image is also too low to translate for printing. Finally, .gif files load quickly because there is less color involved, so various hues will turn out different than you expect. If you will be using only text for your promotional printing, there are still some things to consider when preparing your files. As you prepare to send your files off, make sure that your files are in PDF format. The PDF will have all the fonts embedded into the document and make sure your layout stays consistent from design to outcome. An extra step to take to ensure your font will stay consistent is to convert your fonts to curve or outline format. These formats translate even if your desired font does not, as the outlines will still be converted. Web pages do not translate into high quality text files at the printer, as they are designed to load quickly. Lastly, using a .doc file does not ensure that your document will turn out consistent when sent off to the printer, fonts may not load and the spacing could differ. 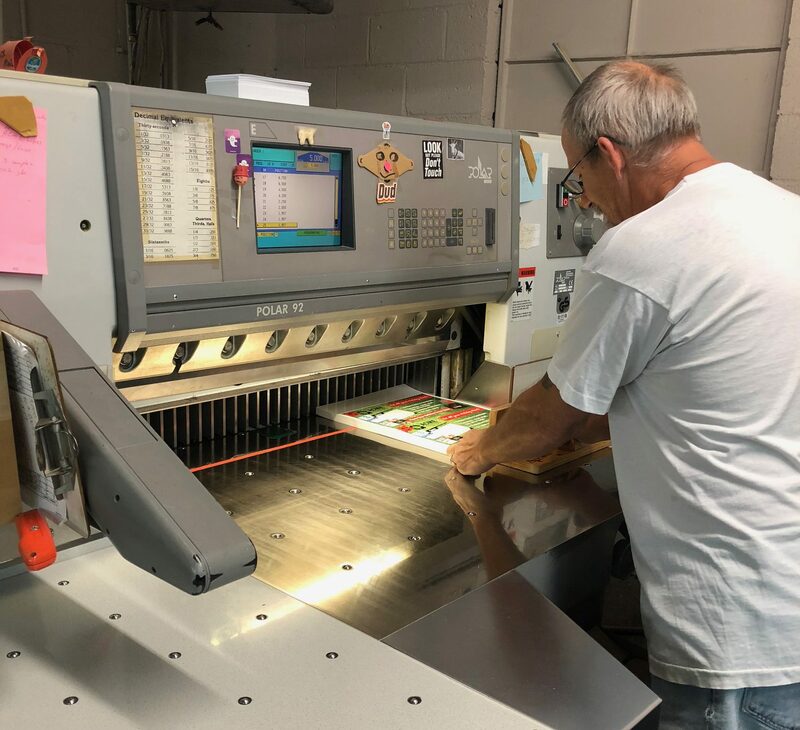 Acme Printing is the premier printer in East Tennessee. We have served the Morristown, TN and Lakeway areas for over 50 years. We have an in house graphic designer to help you with your print materials and the files needed, and we are proud to have expanded our services to include promotional product printing so that you may created awareness for your brand. Contact us today to get started with your promotional product order! Call us at 423-581-8528, or contact us online for a quote.